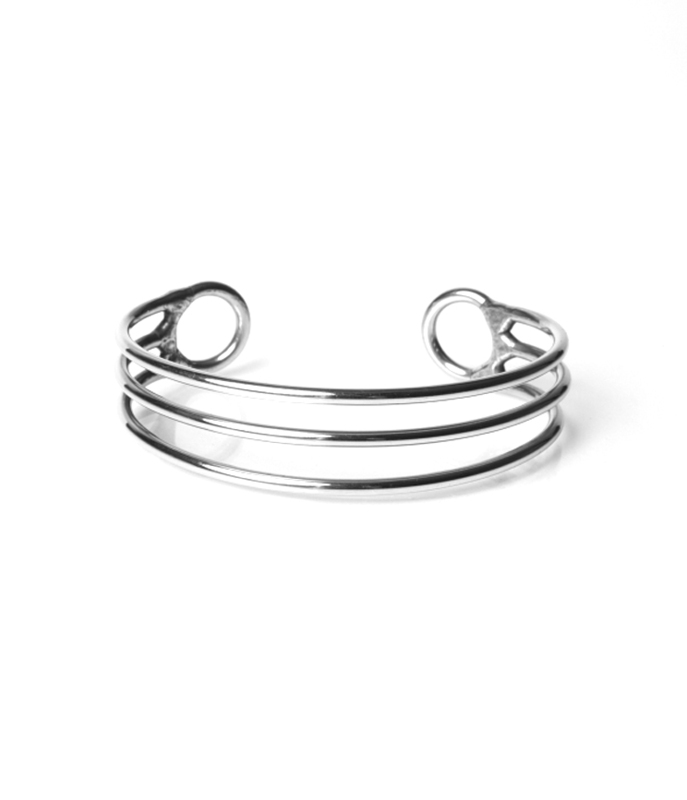 Orion’s Belt is the broadest of our classic collection. 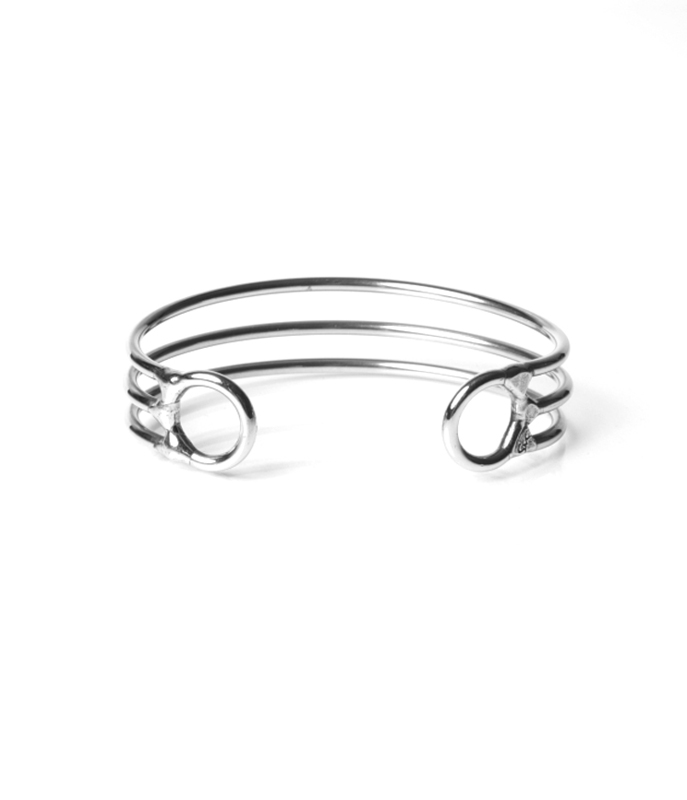 Three bands of steel with signature cuff endings create a piece that feels tough while light-weight. 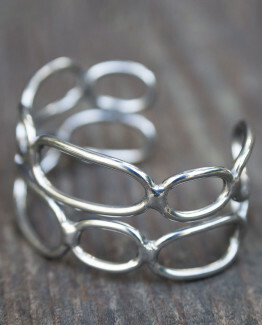 Wear traditionally for a simple look or flip it backwards for an industrial vibe. 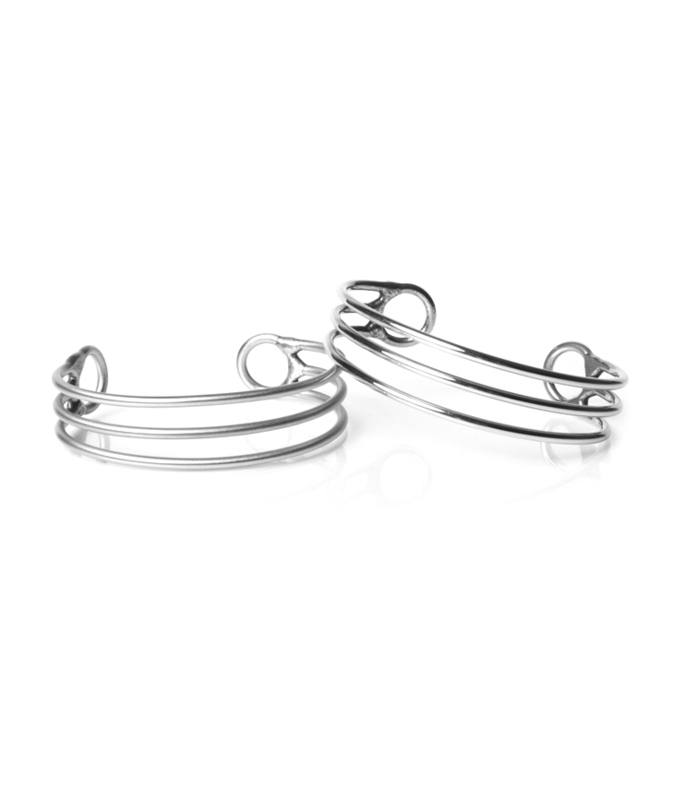 A shiny, elegant finish reflects more light than the brushed creations – see image for comparison. 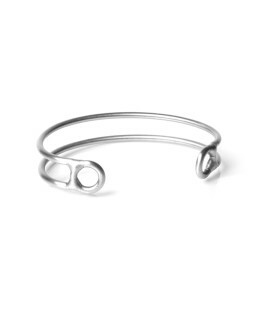 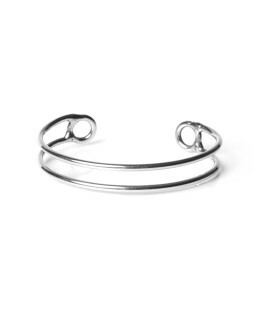 Steel cuff bracelet handmade from surgical, stainless steel (316L). 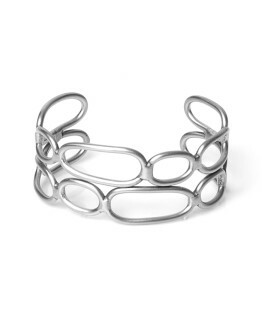 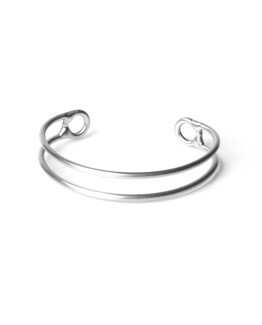 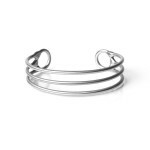 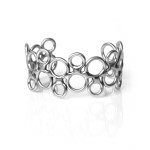 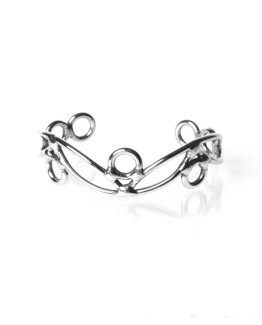 Bracelet width measures approximately 9/16″ (1.4 cm). All bracelets are slightly adjustable for a custom fit.